Volkswagen Group's rebound from the diesel emissions scandal and an upgraded earnings forecast has helped the stock to surge ahead of its German peers. VW's preference shares returned 23 percent this quarter through Friday, best among European auto stocks, while Daimler has gained 5.3 percent and BMW is little changed. Porsche Automobil Holding, which owns a majority of VW common shares, has done even better -- advancing 31 percent. Investors have piled in as VW made progress toward settling claims with the U.S. and European regulators after cheating on diesel engine pollution rules. The company has taken around $30 billion in provisions to coverÂ the costs of penalties, legal claims and retrofits of vehicles since the scandal broke in September 2015. On Nov. 1, a week after the automaker raised its 2017 profit forecast, the shares rose above the pre-scandal level for the first time. Analysts say there is more to come in 2018. VW has new management, a viable plan and the biggest turnaround opportunity among global automakers, says Arndt Ellinghorst, an Evercore ISI analyst. The shares may reach 300 euros, he added. "The company is now managed for efficiency and is much more focused," Ellinghorst said in an interview Monday. "The earnings upside for the shares is phenomenal." Exane analyst Stuart Pearson wrote in a Dec. 12 note that a raft of new sport-utility vehicles should help to boost earnings and the company may reward investors with a "substantial" dividend increase next quarter. Investors will have plenty "to feast on from VW in 2018," he wrote. VW trades on a blended forward price-to-earnings ratio discount of 36 percent to the Stoxx Europe 600 Automobiles & Parts Index, compared with a five-year average of 28 percent, according to data compiled by Bloomberg. The shares are around 51 percent below their 2015 historic peak. To be sure, VW has a lot of ground to make up. The company trails its German peers over the five years ended Dec. 15, with a total return of 7.7 percent, against Daimler's 116 percent and BMW's 42 percent. Not everyone believes it's time to start buying the stock. 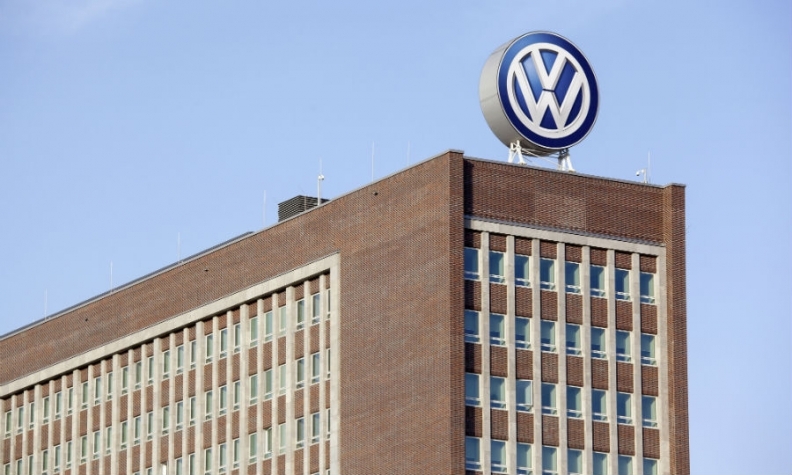 AlphaValue analyst Hans-Peter Wodniok said in a Dec. 15 email that there are still "too many uncertainties" at VW. He is concerned about potential "huge" additional fines in Europe over diesel emissions, what he sees as arrogance among company management and in-house fighting among car brands such as Volkswagen and Skoda over market share. "Our opinion remains negative," he said.